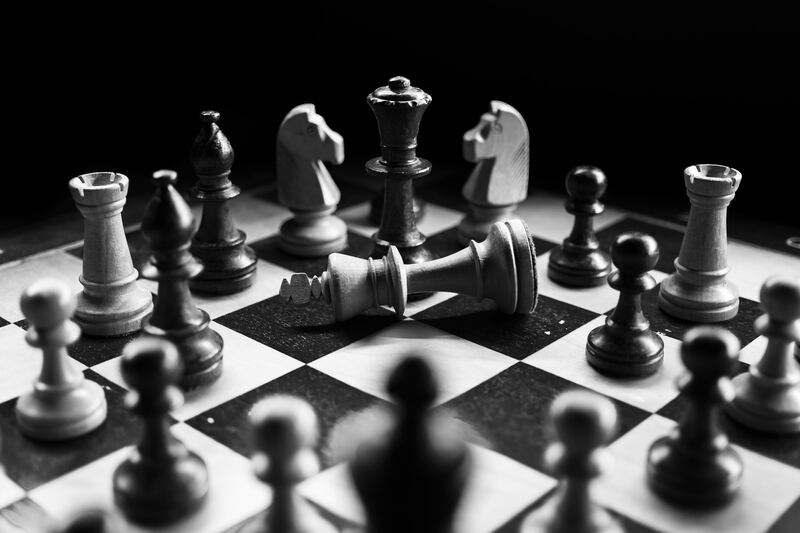 In the third part of my blog series on making the move from sales person to sales leader I’m going to focus on the need for sales leaders to execute strategy effectively. Often leaders are clear on the strategy, but struggle with how to execute it. You can be an emotionally intelligent and highly credible leader, but if you cannot translate sales strategy into actionable goals and then hold your team accountable for those goals, you’ll never deliver the results expected of you as the sales leader. In order to successfully execute sales strategy, you must have a clear understanding of which behaviours and actions will drive sales results. Once you are clear on this, you can begin to put your strategy into action. This sounds simple, in principal and yet there are a number of factors that must be considered. As a new sales leader, you’ll inevitably feel a strong desire to make a big impact. The danger is that this can lead you down the path of trying to change too much all at once. As Patrick Lencioni states “If everything is important, then nothing is.” Having too many goals simply dilutes the importance of each and every one of them. Your team will be unclear on where to focus their efforts and none of the goals are ever likely to be achieved. Your goals have got to stand out from the daily noise, your sales people need to be considering every week what they are going to do towards helping achieve the goals. So, ensure you select just 2-3 ‘most important’ goals at any one time. When it comes to choosing those most important goals to share with the team, I would suggest choosing those which will have the biggest impact. This will not only satisfy any desire to have an individual impact in your new role, but achievement of such impactful goals will heighten engagement and commitment within the team. Where possible, including your team in the process of defining those most important goals is a great way to gain their commitment. Also critical when defining your most important goals is ensuring that your team have absolute clarity over what the goals are. Although this might sound like common sense, so often when working with teams, I’ll ask them what their goals are and they don’t know. Much of this clarity comes from measurement of the goals and creating visibility and accountability. It should go without saying that any and every goal should be measurable and, once those measures have been clearly defined, the next step is to provide visibility on progress. How you choose to provide this visibility will depend largely on the structure and workings of your own team. Most sales teams work remotely, making a visible dashboard in the office an ineffective solution. Instead, place your measures dashboard prominently inside the software your team are using every day. The final important element when it comes to executing strategy is accountability. Unfortunately, simply defining measures and providing visibility of progress is not enough. As I mentioned earlier, your goals must be important enough to stand out from the daily noise, to demand the attention of your sales team, no matter what and the only way to achieve this is through accountability. Your most important goals should be broken down into clear actions, each of which has an owner and a due date. Many of these actions can be defined at the outset, but many others will be defined as you make progress towards your goal. Use your measurement tool to keep track of these specific actions, their current status and who is responsible for them. As the sales leader, it is your responsibility to hold your team accountable for achievement of these goals; for the execution of this strategy. Accountability can be heightened by creating a sense of shared ownership and reliance. By discussing goals and progress regularly with your team (whether face to face or virtually), your team will not only get a sense of the importance of those goals, but will also see how their own individual actions directly impact the success of the entire team. You’re still going to have to take action if you have a member of your team not pulling their weight, but by being clear on your expectations and creating this kind of co-operative team environment, you’ll significantly reduce the occurrences of under-performance across your entire team. Next week I’ll move on to look at the need for sales leaders to develop their people and help them to maximise their potential. If you’d like to find out more about how we can help new sales leaders step up into the role, click here.